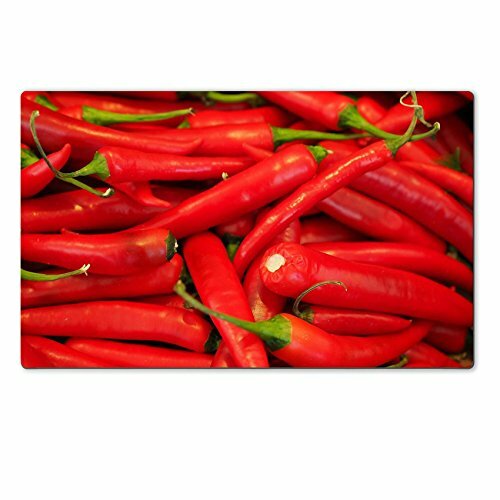 If you are looking great red accent pieces for home and kitchen then consider red jalapeno kitchen decorating pieces. 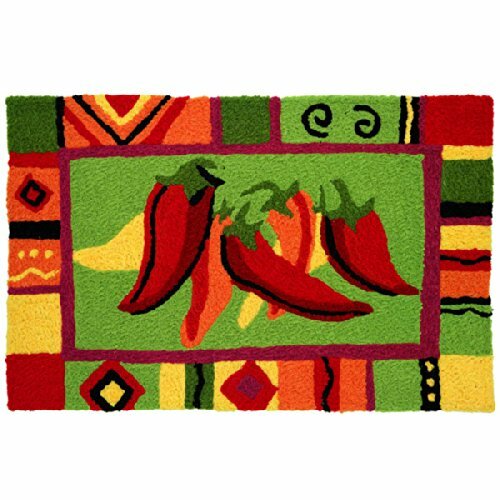 Mexican style kitchen accessories that includes ideas for beautiful window treatments with red chili pepper curtains. 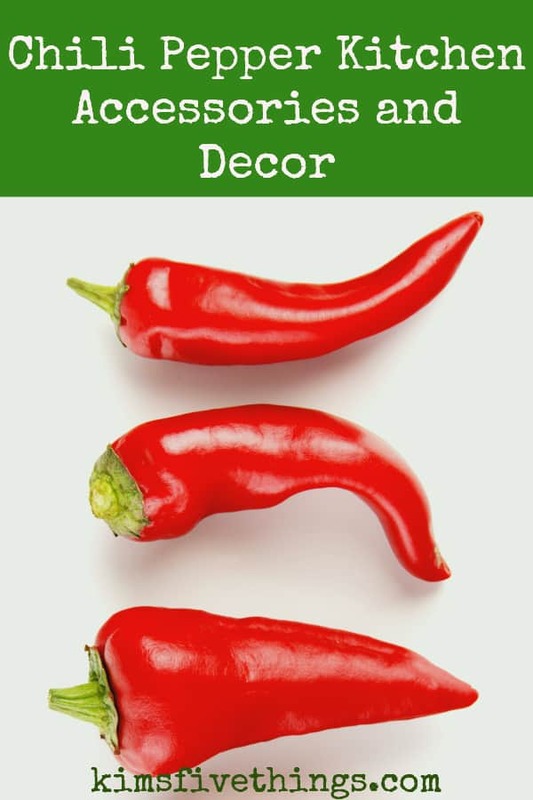 Mexican country kitchen ideas including hanging chili peppers ristras. 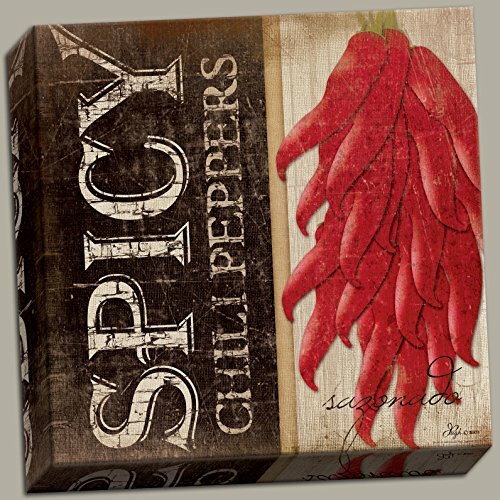 I love to see chili pepper kitchen items. It just says “kitchen” to me. 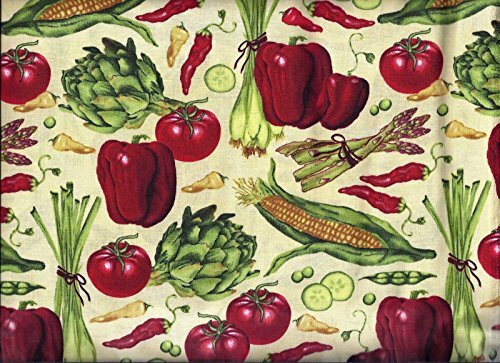 For example, curtains with a chili design will brighten up any kitchen. 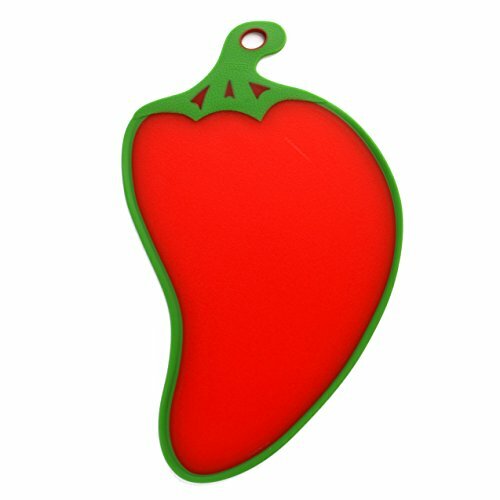 You can also add other red accessories or even more chili-themed items for example spoon rests, mats and cookie jars. 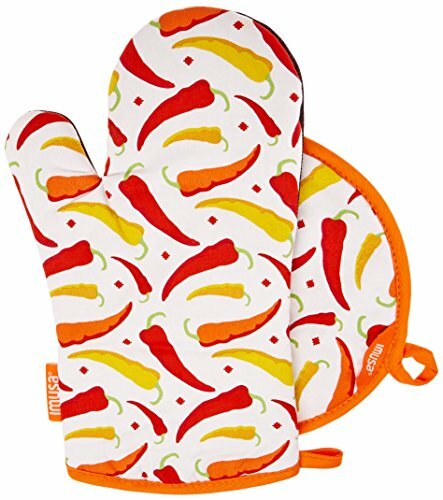 Below are 6 of my favorite chili kitchen accessories. The cutting board will look good in most kitchens and will protect your countertop from burn marks or knife marks. 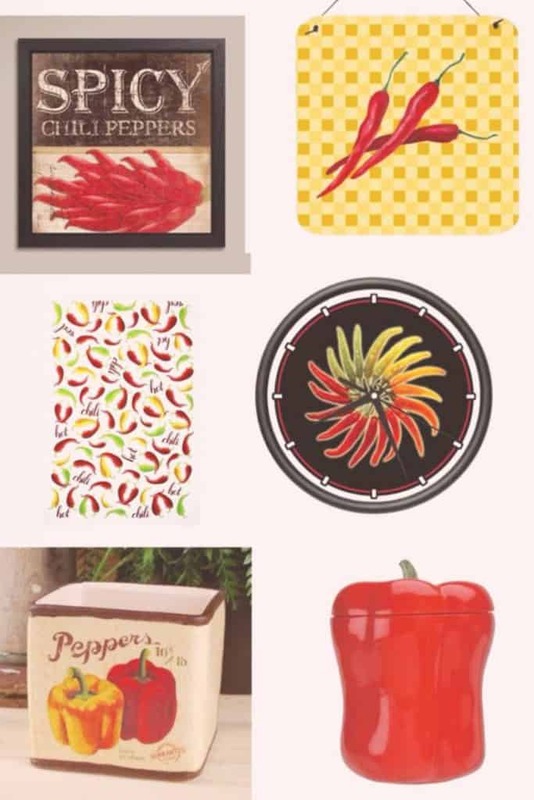 Here are a few ideas to spice up the decor in your kitchen with chili pepper canister sets. Any of these sets are sure to draw complimentary comments when they are set out on your kitchen countertop. 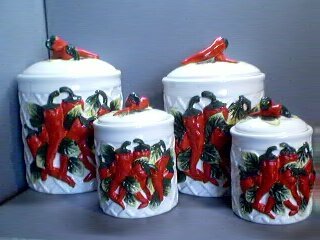 Here is a selection of storage jars with a chili pepper theme. 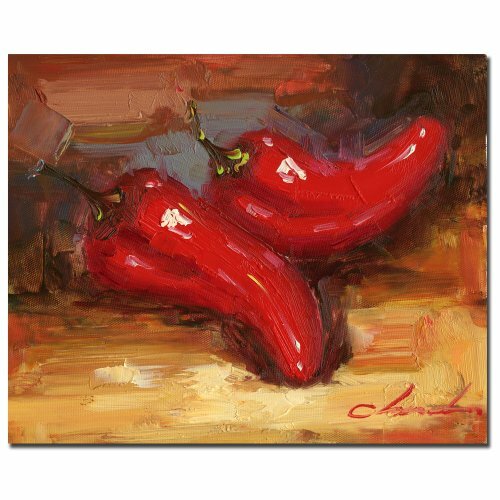 These would be of interest to anyone who loves the look of red chilies and would like to start a collection for a chili pepper themed kitchen. 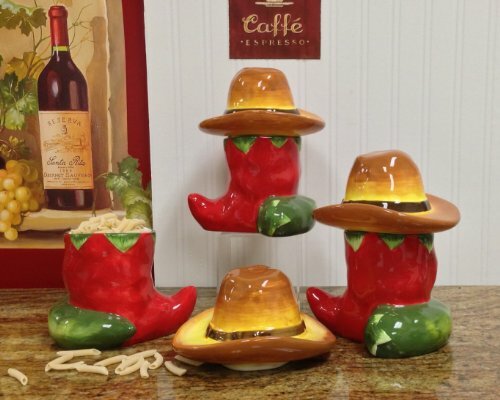 Any of these ceramic chili canister sets would make a great present for a person that loves chili decor in their kitchen. I could imagine giving one of these sets as a housewarming gift. The canisters featured to the left above are styled in a 3D image of a red chili. I love the way the brown cowboy hats have been modeled to make the lid great fun! 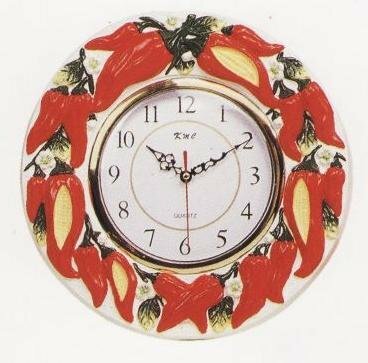 In the center is a beautiful set of ceramic canisters that feature great artwork that depicts chilies together with their leaves. 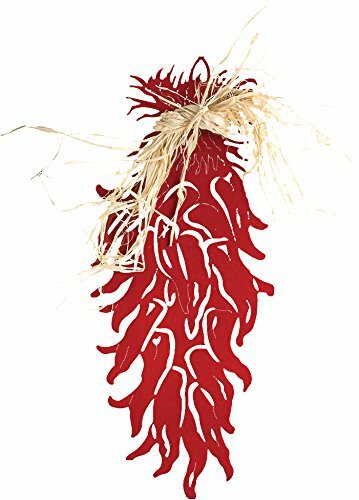 These would be a great choice if you any wanted subtle touches of chili decorations in your kitchen. 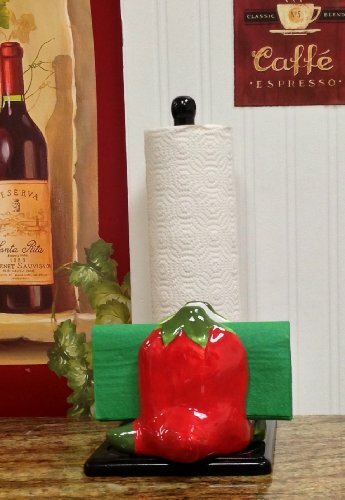 To the right are 3D styled ceramic white red and green canisters with the chili decoration in relief. 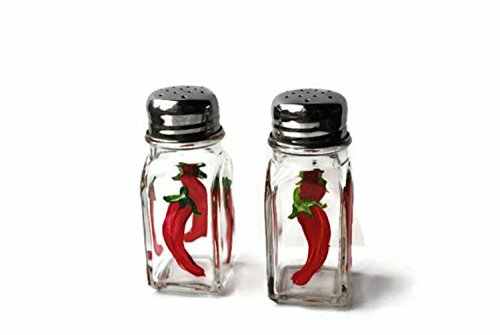 What I like about this set of canisters is the way a chili pepper has been modeled to make the lid handle, very cute. 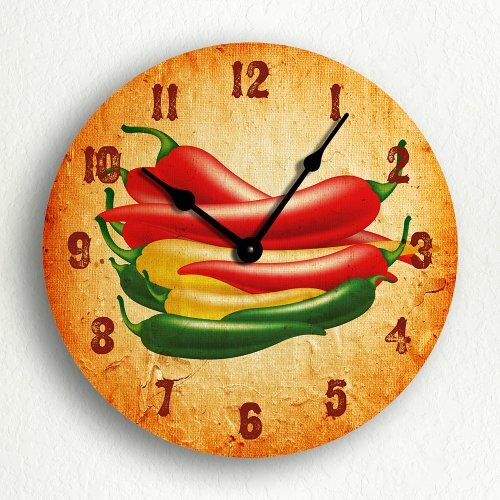 There are other kitchen decor items that have chilies on them, for example, chili pepper curtains, clocks, and wall art. 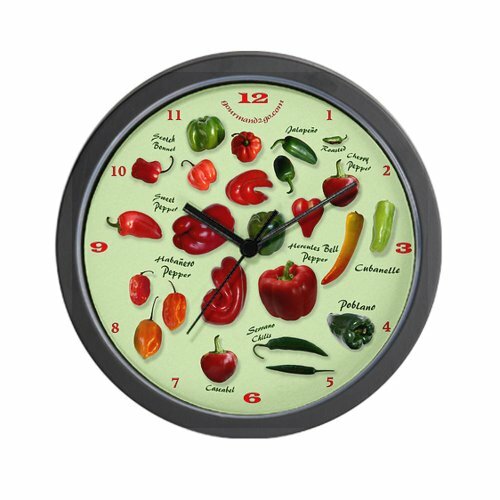 If you are a collector of red chili items for your kitchen or you just want to add to your red chili kitchen accessory collection. Then one of these bright and cheerful rugs will be ideal. I like to have a couple of rugs in my kitchen. The first to stand on while I prepare meals and follow baking recipes. The second to go under the front of my fridge, just to collect debris that seems to fall from the fridge shelves. is the rug machine washable, essential with the mess I make in the kitchen! is the rug non-slip, rugs that slip can be very dangerous. 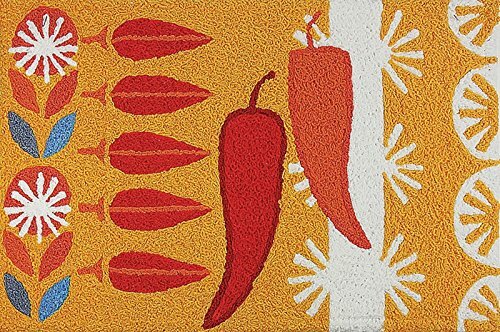 a rug that has lovely colorful artwork that fits in with my kitchen decor. a reasonable price as they wear out quickly in my kitchen. 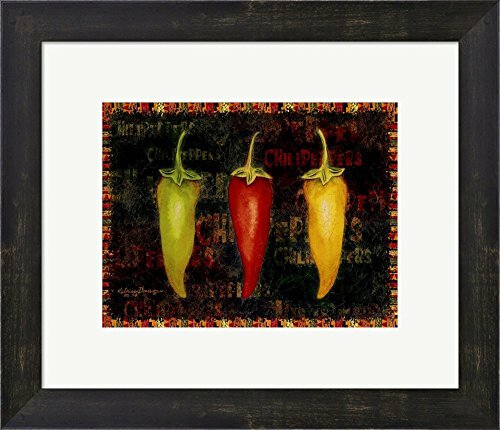 Either of these rugs would make a great gift for a person that loves chili peppers. I have a friend who has recently redecorated her kitchen. Ideally, she would have liked a completely new kitchen. However, she was on quite a small budget so she just painted the walls of her kitchen in a neutral cream color. She then replaced the worn countertop surfaces and flooring. The whole kitchen now looks almost brand new. 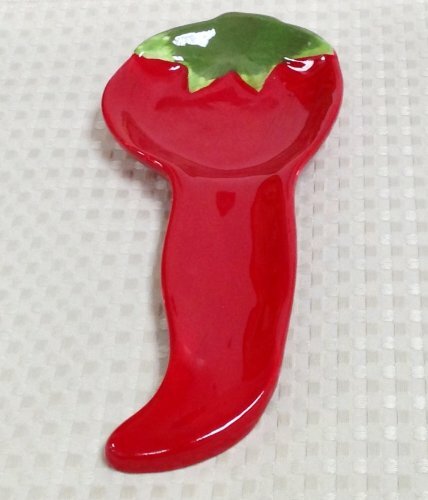 I noticed dotted around her kitchen were pictures of red chili peppers and she also had a chili spoon rest and a red chili cookie jar. The chili items were not overdone, instead, they provided an overall theme that brought the kitchen decor together it looks really lovely. 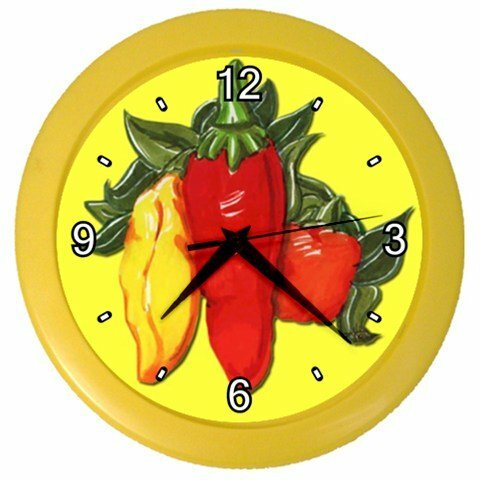 Once I decided to search for clocks with a chili decoration I was pleasantly surprised at the large range of clocks available. Below are six of my favorites. 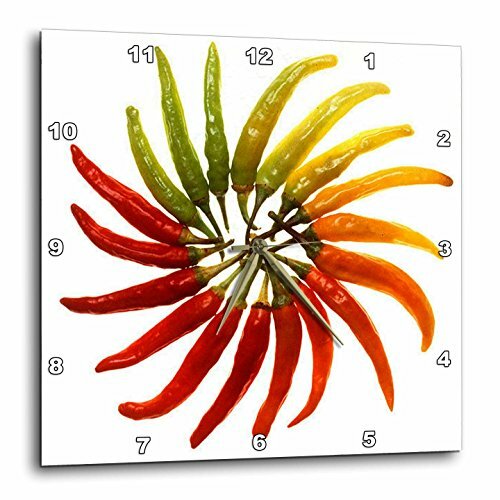 I’ve picked out some stunning chili-themed wall art. 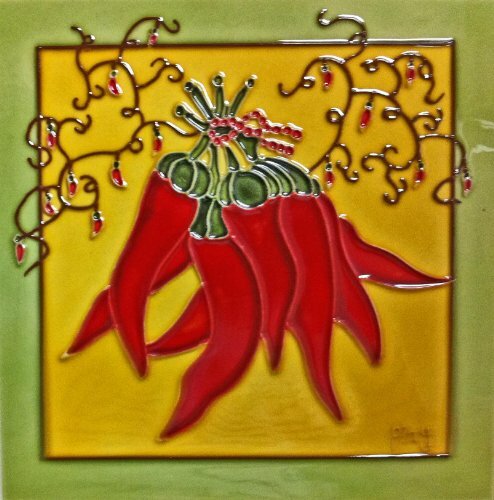 There are plenty of different types of chili artwork, from ceramic tiles designed to become a wall hanging, to photographic prints. 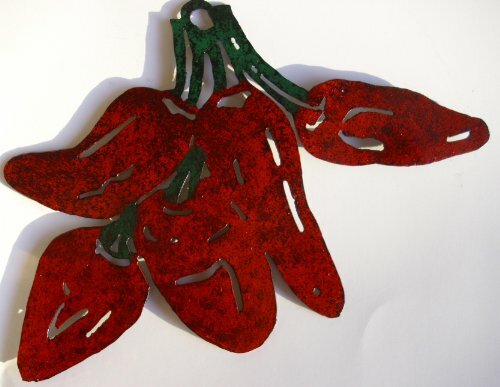 I really love the metal chili artwork presented below these would look great in any kitchen. 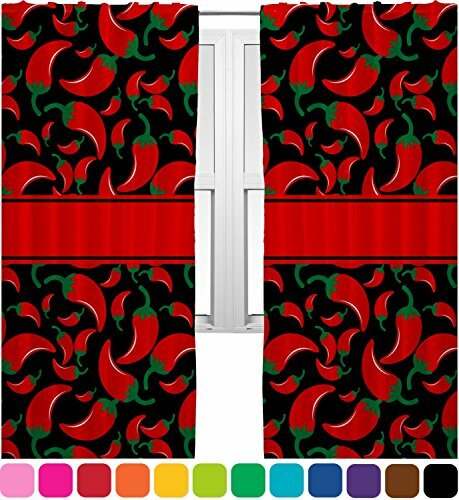 Here are some ideas for chili pepper kitchen curtains you can buy to dress your kitchen windows. I have a friend who loves eating hot spicy foods with plenty of chilies in them. 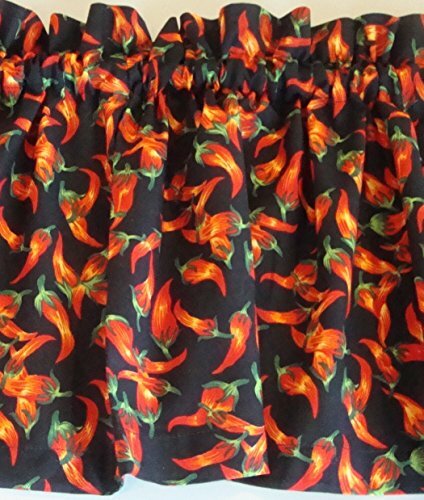 She is such a fan of the fiery fruits that she actually has curtains with a chili pepper print on them hanging up in her kitchen. The rest of the kitchen is very minimalist and predominantly white. There are a few red accent colors, found in appliances like an electric kettle and toaster. With the colorful red chili designed curtains, the whole kitchen just looks great. 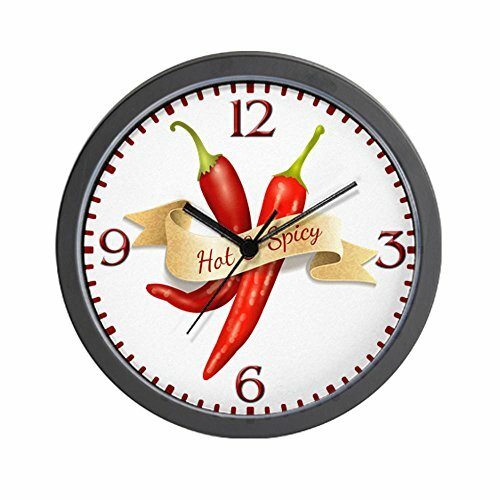 I think it is because the chili design is not overdone. As I’m sure you have heard less is more.